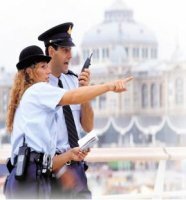 Het goed functioneren van draadloze netwerken is essentieel voor een vlot verkeer van draadloze data. TÜV Rheinland EPS meet bij de bron en controleert of het netwerk genoeg capaciteit heeft om haar werk te doen. Wij voeren actieve en passieve onderzoeken uit bij leverancier of op locatie. Onderzoek richt zich op het aantal gebruikers en de doorvoersnelheid in relatie tot de afstand van het Acces Point. Active and Passive Surveys indoors and outdoors. TÜV Rheinland EPS Records RF data from all APs and stations in the area. This produces an excellent overview of the entire wireless environment including sources of noise and any wireless signals from neighboring networks. During an active site survey, The tool associates itself to a specific AP and exchanges data to emulate an end-user. This enables users to map out exactly how real-world clients will perform at various locations taking into account the multipath at that location in terms of connection data rates, retry rates and packet loss. Automatically leverage GPS position to collected outdoor wireless data. The results can then be analyzed in the user interface or exported into Google Earth. TÜV Rheinland EPS uses the live data collected from active and passive surveys to simulate and measure network performance in the most scientific way possible—with the most accurate depiction of a real—world user experience. Possibility of relocating APs on the map and adjust AP configurations—such as Power, Channel, SSID, and Noise Floor—to simulate changes in the network, which appear on a refreshed map. Drill-down on specific APs to analyze performance statistics, then tweak and adjust simulations until optimal settings are achieved. TÜV Rheinland EPS Monitors RF spillage outside the corporate building. This spillage should be kept to a minimum, unless service is to be provided in the parking lot or an outside area. TÜV Rheinland EPS Inventories all 802.11a, 11b, 11g and 11n devices operating in the wireless environment. It provides detailed information on the configuration settings that are available or are in use on the devices, including critical parameters such as signal strength, noise, SSID, security settings in use, associated devices, cell power, device activity status, and many more.